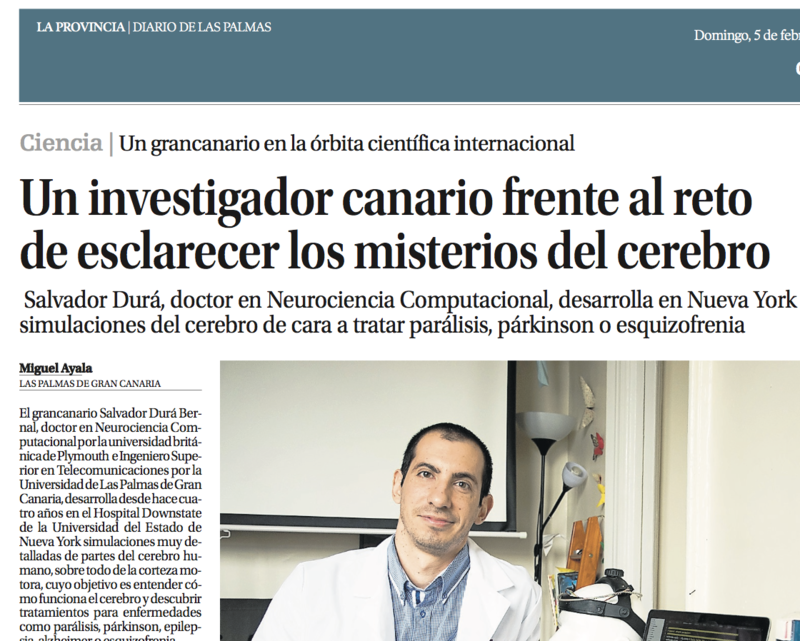 Salvador Dura-Bernal, a Neurosim lab researcher, was featured in local newspaper ("La Provincia") of his hometown Las Palmas de Gran Canaria, Spain. The article, written in Spanish, describes what is computational neuroscience and some of the research Salvador is working on. Click here to see the full newspaper article. Copyright © 2019, Neurosim lab.